Are there any real online marketing training programs or are they all scams? 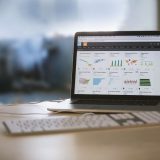 Can i really create an online business even if i don’t know anything about website design? The answer is, of course, it’s possible. And yes there are online marketing training programs that can help you build your first online business. Their training programs are honest, up to date and designed to educate their members. In my opinion, there is a certain number of criteria an online training program must fulfill and you can read more about that right here. But it’s equally important for you to have realistic expectations. You must also be willing to learn and work hard if you want to succeed online. There is no instant success. Unfortunately, there are many scams in the industry and many people fell victims every year. Actually, there are so many of them that they make it really difficult for people to find the real opportunities. They don’t offer any real products or services and the only way to make money with them is to recruit new members and if they recruit new members you get a commission and so on. That is what we call a scam. Now that i said that i should clarify that i don’t mean every MLM (Multi Level Company) company is a scam. But the majority of them are frauds and have nothing to do with internet marketing. The last few years a number of them are promoting themselves as affiliate marketing training programs but clearly, they are not. This type of scams always try to convince people how easy it is to get 15-20 leads per day with their unique marketing strategy. You should know products/services that have monthly memberships (for example online courses) although they offer a recurring commission they also have a lower conversion rate. That’s because people foresee them as a larger investment and a serious commitment compared to a one time purchase. But the problem it’s not just the scams that prey on people promising to make them rich in a couple of weeks and other similar ridiculous claims. 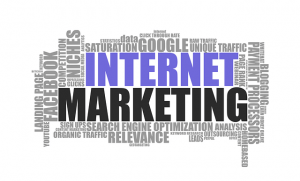 The biggest damage is caused by some very low-quality internet marketing training programs. What does that mean exactly? Something it’s either legit or a scam. It can’t be both at the same time. Right? Well, it’s not that simple. There are programs that do offer some form of training, marketing strategies and useful information to their members that are up to date (although not always) like email marketing, how to use keywords, social media marketing etc. But they constantly request from their members to upgrade, to buy the next level of training or their new awesome marketing formula. They regularly ask their members to buy products through their affiliate links. Basically, these programs are very long sales funnel aiming to trap people in. They are designed to make as much money as they can from their members. Programs like that promote the idea that creating a successful business online is deeply associated with their up-sells. They try to convince their members that they must spend thousands of $ if they want to succeed online. Of course, they don’t disclose that to you before but only after you join. Note: I am a member and affiliated with Wealthy Affiliate. That does NOT mean you will pay extra if you join that program. As for the other 2 products (Affilorama & Chris Farrell membership), i have never a been a member in any of them and i am not affiliated with them in any way. My recommendations are based on my research. So, without further ado let me introduce you to 3 online marketing programs that can teach you how to make money online. For more information you can also read my review. Wealthy Affiliate was founded back in 2005 with the purpose to help people create successful Internet businesses. Over the last 12 years, they have helped hundreds of thousands of people to create their own profitable websites. Their training program is designed not only for beginners but also for more experienced online entrepreneurs and marketers who want to take their businesses to their next level. Their training consists of videos, tutorials, interactive classrooms where you can ask questions and receive answers. 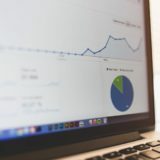 The training covers all the stages when it comes to online business and marketing from how to choose your niche and build a WordPress website to how to use SEO, increase your traffic, keyword research, and analysis, email marketing, social media marketing, how to run a PPC (Pay Per Click) campaign, content creation, and many more. There are no extra charges, packages to buy, or new levels to join. There are no lessons or courses that you have to pay extra in order to access them. The premium membership means you have access to everything and the only extra cost is your domain name (on average $15/per year). All the tools you will need in order to build your business are already included in their platform. Apart from the training courses they also offer technical support, a keyword tool, a weekly webinar, SSL certificates for all of your websites, unlimited hosting are just a few of the tools they offer. You can also buy and register domains inside Wealthy Affiliate and host up to 25 websites. The community inside Wealthy Affiliate is very active and both Kyle and Carson will show up regularly in the Live Chat to answer questions. You can also contact them directly and yes they do respond. Affilorama was created in 2005 by Mark Ling a very successful online marketer and entrepreneur. Its purpose is to educate their members about affiliate marketing and how to build profitable affiliate websites. It’s one of the largest affiliate marketing communities with many successful members. It’s certainly one of the most well known and respected products in the industry. They offer many tools (affilotools), support, members forum, a variety of products and training. You shouldn’t expect direct help from Mark Ling but he does join discussions on the forum occasionally. Their training consists of videos lessons and courses that are easy to follow. No matter if you are an experienced affiliate marketer or a complete novice you will find value in their training. The platform is designed to cover every demand. Except for the premium membership, they also offer a couple of other packages. Although these products i believe are designed to satisfy every need of their members they can also be considered as up-sells. They include training that is not offered in the premium membership ($67 per month). Also, some parts of the training need to be updated. 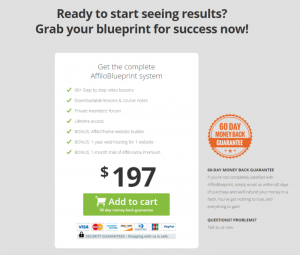 Affilo BluePrint ($197) is basically designed for those who don’t want to join the monthly premium membership ($67 per month). 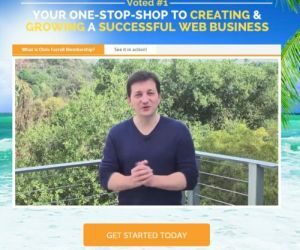 This package is designed to show you how to build your website and they offer a number of lessons (90 video lessons) covering a wide range of topics. Also by joining AffiloBluePrint, you will get the Affilo-Theme for free which normally costs $97. You also get hosting for 1 year for 1 website with this package. After that, you are advised to join the premium membership. Affilo Jetpack ($997) although a one-time payment is a serious investment. 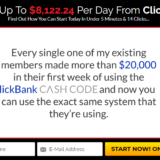 They offer a collection of 18 profitable niches and you can choose to create 5 of them. This product is basically for people who don’t want or don’t have the time to go through the lessons but still want to build affiliate sites. Most of the work is already done for you like the design of your website and much more. You still have to do some work of course but it’s actually only 20-30% of the actual work you would have to do. It also offers web-hosting for 1 year. 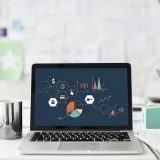 Personally, i wouldn’t choose that one because it might stop you from learning new methods and techniques in affiliate marketing. Overall Affilorama is a good product where you can learn how to make money online and create your own online business. Today there are so many internet marketing “gurus” and affiliate marketing “experts” out there it’s really hard to know who to trust. 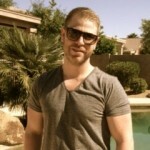 Chris Farrell is actually a very successful affiliate marketer and yes it’s okay to call him an expert. He started his online career in 2008 and just in a couple years, he went from a total newbie to a very successful and wealthy internet marketer. He actually became a millionaire in 2 years. He is the living proof that online marketing works if you are a hard worker and a dedicated person. He is very well respected in the industry. Although perhaps not a very famous platform his product is considered to be a very good training program. If you visit his website what you will basically see is a video sales pitch but no other significant information about the training program. This is a technique scammers usually use but it is actually a legit program. Chris doesn’t promise to make you rich and he does remind everyone that making money online is not easy. The training is in the form of video lessons but also text and PDF are available. If you have some experience with the world of online marketing you may find the training a bit boring. That is because it’s designed to help people that are just starting out and have no previous experience. The training primarily focuses on helping beginners explaining the basic steps on how to build a website, how to market your own products etc but it doesn’t really offer any advanced training. The business model that is taught here is a bit different compared to the other 2 products mentioned above. Here you will learn how to choose a niche, how to create landing pages, generating traffic from social media and build an email list. And then basically you promote your products to the people on that list. Methods like SEO, keyword research & analysis, niche marketing, content marketing, content creation, building authority sites are not really discussed. There are also some complaints about the level of support members receive and the way the forum is organized. Chris also is not very active on the forum but he does offer a phone number for support. Finally, there are also a few up-sells like hosting expenses (it’s not covered in the membership) and the purchase of an autoresponder (about $20 per month). Also, you will have to purchase easy video suite ($147) if you want to access Chris’s video made easy course. Overall Chris Farrell membership is a good program, especially if you are a beginner or if you want to learn more about email marketing. The lessons are easy to follow and the courses will really teach you how to build an online business. The online training programs mention here are legit and respected in the industry. All of them can teach you how to build a website and how to make money online. Of course, they are not the only ones. There are definitely more. 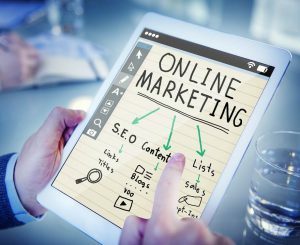 But the 3 platforms mentioned here are a great way for a novice to start learning about online marketing and their prices are reasonable. A training course that costs hundreds of $ to join may be legit but it’s not beginner friendly. After all such products usually require some prior knowledge and experience. Also, you have to remember that nobody can guarantee you will succeed. In fact, if anyone says it can guarantee your success you should be very skeptical. Don’t confuse a refund policy with a guarantee. The reason why no one can guarantee success is because it depends on you. There are no online reaches waiting for you. Creating an online business is not easy and you can’t make hundreds or thousands of $ in a few days. Mansions, liar jets, yachts, luxury cars and all this while working only an hour a day is not a realistic expectation. Stay away from scams promising you an easy way to make money online. Before you start fantasizing about the millions you will make online start thinking about how you will make $50. You have to work hard. You have to be patient, determined and educate yourself. You must be willing to try, fail and try again. You must want this to happen. You must create something valuable. And now the big secret why most people fail online. They fail to understand that they have to use their creativity, their imagination and their skills. They believe that if they join a training course all they have to do is just apply what they are taught. Unfortunately, it’s not that simple. It never is. It’s not like lesson 1, 2, 3 money. Lesson 4, 5, 6 more money. 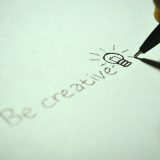 If all you had to do is to copy the methods someone else showed you everyone would be making money online. That’s why the success ratio is not very high. And in case you are wondering then why should i join any training program. Can’t i do it on my own? Yes, you can. All you really need is a domain name, a host, and a theme. Then you can start looking for information on the Internet. You will find plenty. 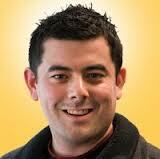 Read the best blogs about online marketing like Neil’s Patel, and Backlinko. But if you have no prior experience you will quickly feel overwhelmed with information. What online training programs offer you is the know-how to build your website and how to structure your online business. They provide the path you must follow in order to earn money in the end. Before i finish this post i believe it would be good to compare the 3 products at least to some degree. Remember all 3 of them are legit and can help you build your online business. But also the numbers speak for themselves. There is a reason why Wealthy Affiliate is the most popular one. The answer is of course results. So, now you know how to start your online journey. If you want to build a profitable website you can do it with any of the 3 products mentioned here. On average these online marketing training programs will cost you $50 per month. If we compare that amount of money with the money you would need to start a business offline i believe it’s fair to say it’s a small investment. For an online business $500 per year (including paid advertising) is more than enough. And that it’s only a fraction of the amount you would spend for a business offline. The biggest investment you will have to build an online business is not money but time. You have to spend hours learning and working on your website sometimes with no immediate results. But if you really want this you will make the time. Even if you have small children at home, a family, a demanding 9-5 job you can still find a couple of hours per day for your online business. Give up TV, stop watching videos on YouTube and wasting your time on social media. In the end, sleep faster. This is not your new hobby but your business. Develop the right perspective and mentality. Whatever training you choose make sure to search it online first so you can be sure it’s the right program for you. And if you choose Wealthy Affiliate i’ll see you inside. Like always you are more than welcome to leave me a comment below. Share your thoughts and your experiences with us. And if you liked what you just read share it with your friends on social media. Really good information on all 3 of these programs. What I like best about the Wealthy Affiliate program is unlike the others, it does not have any upsells and the training is very up to date and targeted at blogs and affiliate marketing etc. You are right too, you should not have to spend alot for an online business. But you will have to spend the time and that is usually the difference between those who succeed and who do not. Great article! Building an online business takes time and work. Many people believe that online success can just happen but that’s not true. Time is the essence. This is some really interesting and important information shared about affiliate marketing. I’ve heard about some affiliate marketing programs in the past but the truth is that many of them end up being big scams. Nowadays, people need to be careful regarding these type of programs that might not worth money at all. Anyways, thanks for sharing this content! Thank you for introducing me to these 3 programs. Out of all 3 of them, which one do you think is the one that’s most beginner-friendly and have fast responding people in the website? I am interested in the Chris Farrel Membership and I have heard good reviews about it. What is the difference between Wealthy Affiliate and Chris Farrel Membership? All the training programs mentioned in this article are beginner-friendly and they can help and guide anyone into the world of online marketing. Chris Farrel Membership has helped many people over the years and it’s a successful training program. Wealthy Affiliate is a much bigger training platform. In my opinion their training covers a lot more topics and also their hosting services are way better. Thanks for the review of these online marketing training programs. I was a member of Chris Farrell some years ago when I first started. It may have changed, but I found it a bit unorganized and difficult to get help. The lack of advanced training on important topics like SEO and keywords are quite an omission (and likely why I failed). 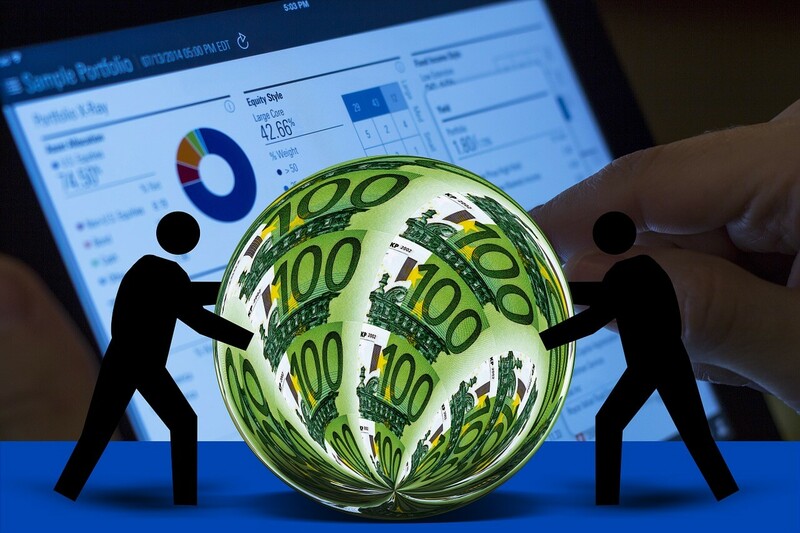 Wealthy Affiliate, on the other hand, is much more comprehensive, well-organized and the community of support is second to none. There were many complains about the way Chris Farrell Membership was structured. I believe things are a bit better now. But as far as i know their training still doesn’t offer an in-depth analysis of SEO. It’s more focused on social media marketing and how to increase your traffic from social networks. Wealthy Affiliate training covers a lot more topics about online marketing and online business. Thank you for your comment. I really appreciate you took the time to share your experience with us. Thanks for your review on these 3 companies. As a newbie to Online marketing, I really can’t decide which company to go with. Which company would you recommend for a newbie? I learn better visually so would like more training videos and less writing material to help me out. I am great with computers and can create websites no problem but just need my hands holding when it comes to building an online business. All of the online courses mentioned here offer training videos. It’s the best way to show people how to create an online business. 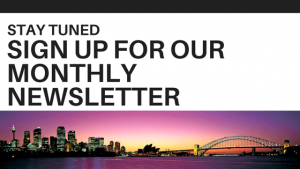 I am member of Wealthy Affiliate simply because i believe their training is very well structured but also because they keep adding new features and upgrading their hosting service all the time. Hey. I am interested in earning money on the internet and it overwhelms me. Namely, there are a lot of sites offering various ways to get rich on the internet. But your article explained to me that I have to approach it as a business. From among these three programs, I chose Wealthy Affiliate. I think I will learn everything there. Thanks. Wealthy Affiliate is a great place to start your online business and learn how to become a successful affiliate marketer.